DWARKA Property the only genuine portal for NCR-Delhi property & Dwarka real estate, to sell, rent property in Delhi Dwarka or buy property in Dwarka Delhi. NO FAKE LISTINGS unlike other portals. Accurate realty news on property prices, trends and NCR circle rates by sectoral experts. Fresh house rentals in Dwarka listings from genuine users with flats to rent in dwarka and top realtors from Delhi/NCR for property in Dwarka and property in South Delhi. DWARKA Property Dealer the leading 'Property in Dwarka' Delhi yellowpages directory for South Delhi realtors. 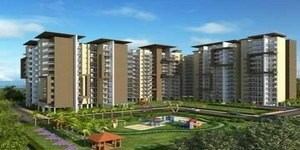 Renting services of Dwarka flats by the professionals of Delhi real estate. 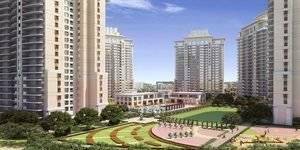 Noida & Gurgaon property dealers directory lists. Genuine classified advertisement listings for all Dwarka property dealers and sellers, buyers, renters of property in Dwarka Delhi or other service providers for real estate in NCR and Delhi-Dwarka properties. DWARKA Property is Dwarka's top website for Builders, Property dealers, realtors, Estate Agents, property dealers in Dwarka for promoting their house rental in Dwarka listing of projects and properties in Dwarka, New Delhi, NCR, properties in Gurgaon, properties in Noida, properties in Greater Noida, Noida Extension, properties in Dwarka Expressway, Manesar, Bhiwadi, Kundli, Faridabad. DWARKA Property is India's premium local search portal for Delhi real estate, to BUY, SELL or RENT Delhi real estate property. Featuring geniune content from actual users and top property dealers of Delhi and Dwarka properties dealers. DWARKA Property the Delhi NCR leading real estate yellowpages business directory for property and Delhi NCR real estate services managed by SEOPROZ.IN, This niche website is useful for locating property which gets lost on all-India portals like 99acres or magicbricks . DWARKA Property Dealer top site for Property Dealers, Realtors, Estate Agents, Renting Agencies for promoting their business name and for listing their properties and projects in Dwarka, New Delhi, NCR, Gurgaon, Noida, Greater Noida, Noida Extension, Dwarka Expressway, Manesar, Bhiwadi, Kundli, Faridabad. A SEOPROZ paid human reviewed quality online directory for spam free website listings. "Super A category" propety in Delhi. 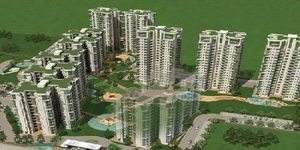 Listings in Westend, Shanti Niketan, Chanakayapuri, LBZ etc.